Nice work. Rad to see Jay Balmer/Larry Campbell’s initiative brought back to life. Congrats!! 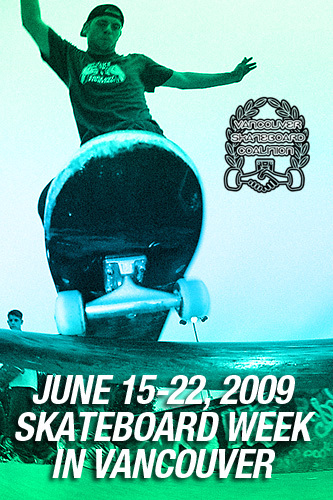 We have just added your latest post “It’s officially Skateboarding Week in Vancouver June 15-22” to our Directory of Sports. You can check the inclusion of the post here . We are delighted to invite you to submit all your future posts to the directory and get a huge base of visitors to your website. It’s great to see Skateboard week continuing in Vancouver! Great work V.S.C.! And Great work Vancouver! We should all feel a little prouder to live here!